So journey with us to the heart of Europe, where the mighty snow-capped alpine peaks tower above lush green pastures, nourished by the crystal clear melt-water streams, dotted with historic wooden farmhouses with the air, heavy with the sweet scent of Alpine meadows. This is some of the most staggeringly beautiful alpine scenery in the world. As you travel the twisting alpine roads, the views become increasingly impressive with each bend: rising from another verdant, almost manicured pasture, are the striking pink and grey alpine peaks, puncturing the sky above. Studded throughout this staggeringly beautiful scenery are countless picture-postcard villages, crammed with a jumble of traditional iconic wooden houses with their gently sloping roofs and window boxes impossibly full of colourful flowers. This is Austria: a largely rural land of soaring snow-capped mountains, tumbling waterfalls and fairy-tale castles where legends abound with almost touchable medieval history. Then we have the unique beauty of the Salzkammergut, one of the most naturally spellbinding and stunning lake districts in the world: a breath-taking blend of lofty mountains, lined by tree studded banks and hauntingly calm lakes filling scenic valleys, which resonate with the unmistakable tones of Tyrolean cow-bells echoing over the water. Austria is so much more than some of the world’s most stupendous scenery, remarkable though it is. 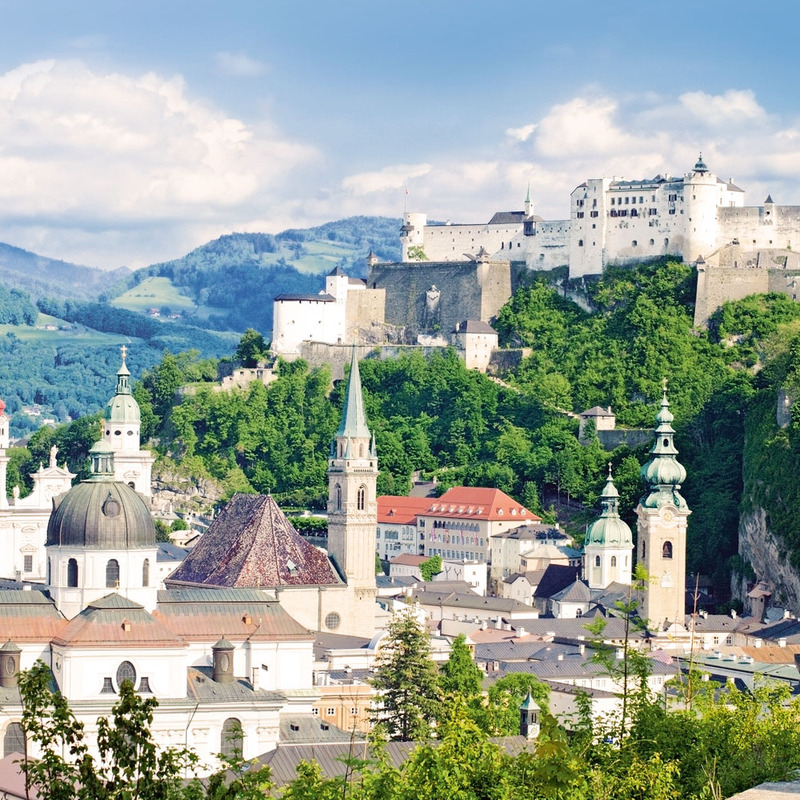 Throughout its history it has been home to some of the greatest composers who have ever graced the planet: Haydn, Schubert, Strauss of course, and undoubtedly Mozart, with nowhere typifying this astonishing cultural legacy more than Salzburg. Mozart’s birthplace, this gorgeous city’s ‘old town’ possesses one of the world’s greatest concentrations of baroque architecture and a wonderful genteel atmosphere enhanced by numerous street musicians who keep the city’s amazing musical pedigree alive. The imposing Hohensalzburg fortress, sitting high upon the riverbanks, overlooks the city and completes the scene. One of the delights of this lovely corner of Europe is its tradition of coffee and cakes, taken in one of the numerous almost regal tea rooms dating from late 18th century, decorated in ochres and browns, using fine silverware and delicate china cups. Try the famous apple strudel and cherry cake, but there are countless others! All made with the finest ingredients, often soaked in one of the delicious liqueurs for which the area is also renowned: they do nothing for your waistline, but plenty for your taste buds! The Austrians are a lovely people and a few still traditionally lederhosen-clad – very much a symbol of regional pride. Well-mannered and friendly, they are genuinely so hospitable to visitors and delight in sharing their country’s heritage, scenery and many other attributes with visitors. It’s called “Gemütlichkeit”, a tradition of which they are justifiably proud. You should arrive at the airport to take the flight to Munich and on arrival you will be taken just over the Austrian border to Salzburg, staying three nights with dinner at the four-star Hotel Stadtkrug situated in the historic centre just below the monastery. This is a gorgeous hotel and at 700 years old, one of the oldest buildings in Salzburg. It was an inn during medieval times, and with Mozart living just around the corner, the hotel’s passionate and enthusiastic owner is absolutely certain Mozart simply must have drunk here! Whether you believe that is up to you, but what is true is that it has been owned by the same family for three generations and staying here is a wonderful experience; it is full of antiques, with the character and ambience unobtainable in modern hotels. The traditional restaurant reflects the owner’s personal time-honoured values and specialises in really well executed traditional menus with most of the produce coming from their own organic farm - they even make their own schnapps. The rooms are extremely modern and have benefited from extensive recent investment but still maintain the hotel’s magnificent medieval charm. On the roof there is a terrace which is a wonderful place to have a relaxing drink whilst surveying Salzburg’s glorious skyline. Up until 200 years ago, Salzburg was an independent state ruled by a series of Archbishops who turned it into one of the most sophisticated cities north of the Alps. The old town is delightful, displaying wonderful architecture dating from the medieval to 18th century, whilst one of Europe’s largest stone fortresses, the Hohensalzburg, perched high on a cliff-top, dominates the skyline. Spread below is a maze of tiny streets lined with the exquisite shops that make window-shopping so satisfying. Then there is the wonderful Hellbrunn Palace with its famous trick fountains and the natural beauty of the Mirabell Gardens are a must for the fan of things horticultural. With its genteel atmosphere of bygone times, surrounded by a magnificent Alpine backdrop, Salzburg is a superb spot to relax and explore at your leisure. Salzburg’s most famous citizen was Mozart, one of the greatest musical geniuses to have ever lived and whose achievements were staggering! He played the piano at three; could compose rudimentary music at five and wrote his first opera at fourteen! His home has been restored and reminders of him are evident throughout the city. This morning, we have a guided tour seeing all the principal places of interest then you are free to enjoy the afternoon exploring the city at your own pace. 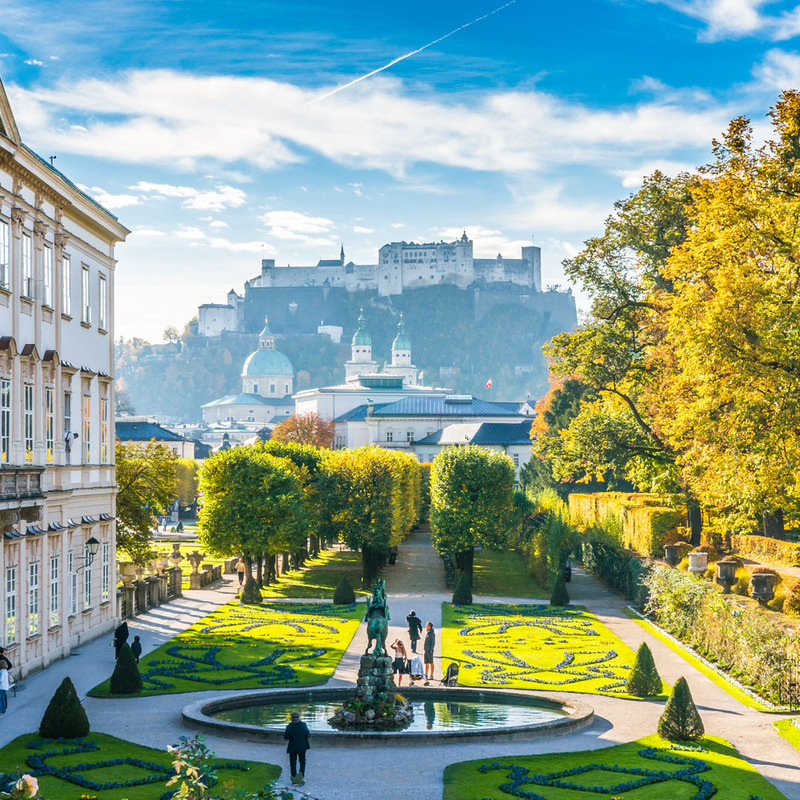 And yes… there are plenty of interesting museums and hidden gems in the city which have nothing at all to do with Mozart or the ‘Sound of Music’, so famously filmed throughout the city and surrounding area! Today we leave the city behind for an absolutely stunning display of outstanding natural beauty: the amazing Salzkammergut, the Austrian Lake District. 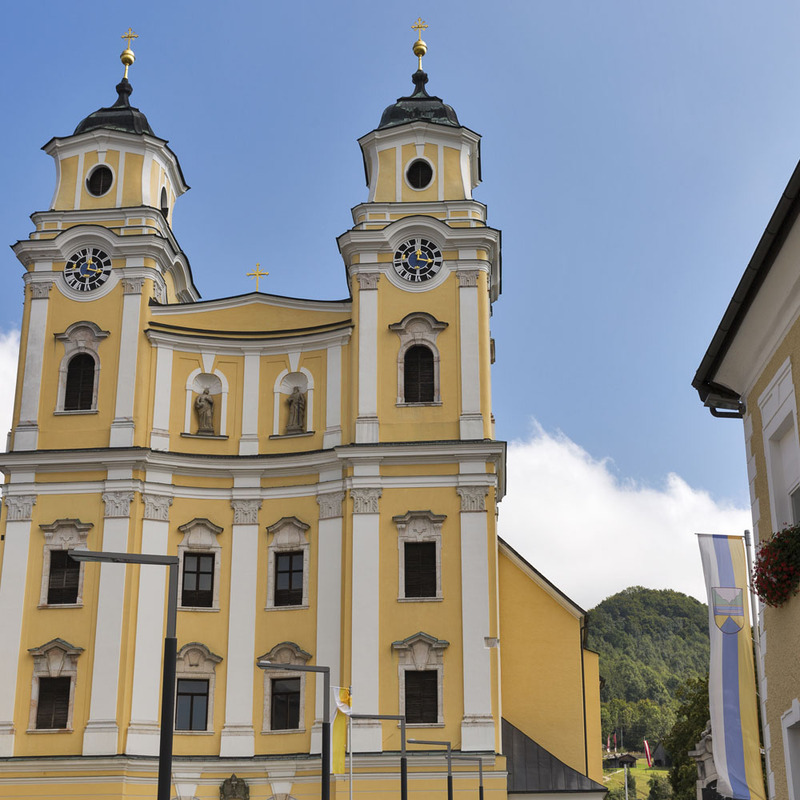 This morning’s scenic drive takes you first to picturesque Mondsee, a charming town perched on the northern shore of the lake that bears its name and renowned for its church, the set for Maria’s wedding in the film “The Sound of Music”. As the day progresses the scenery becomes ever-more spectacular. Following beautiful scenic routes alongside sparkling lake shores and through velvet green hill pastures brings us to the second lake of the day, the dramatic Traunsee and the picture postcard setting of the fishing village of Traunkirchen which until the last century could only be reached by boat. Leaving lakes behind for a short while, we pass through the picturesque spa town of Bad Ischl. Mountains and forest stretch in all directions as we head for St Wolfgang where there’s time for lunch amidst truly glorious scenic surroundings. St Wolfgang, with its lovely maze of 15th century, frescoed buildings, must surely rank as one of the most gorgeous villages you will ever see and it is famed for its church altar, one of the high points of Gothic Art. Relax in this delightful lakeside spot this afternoon or perhaps take the steam-hauled rack railway to the summit of the Schafberg Mountain high above, for a spellbinding view across the entire Lake District in all its unrivalled scenic splendour. We then return to the hotel for dinner. This morning we drive into the High Alps and firstly visit the spectacular 17th century Hellbrunn Palace just outside Salzburg. Commissioned by an archbishop and much visited by emperors, each room is a revelation decorated in a variety of themes from Chinese to those specially shaped with perfect acoustics where talented musicians performed. The gardens are stunning, famous for their ‘trick’ fountains, endlessly stopping and starting plus shell covered grottoes and water-driven clockwork figures. You will stay in the small Alpine village of Kaprun, at the very heart of the spectacular Zell am See region. Today we commence our exploration of some of the world’s finest alpine scenery, seeing nature at its forceful best. 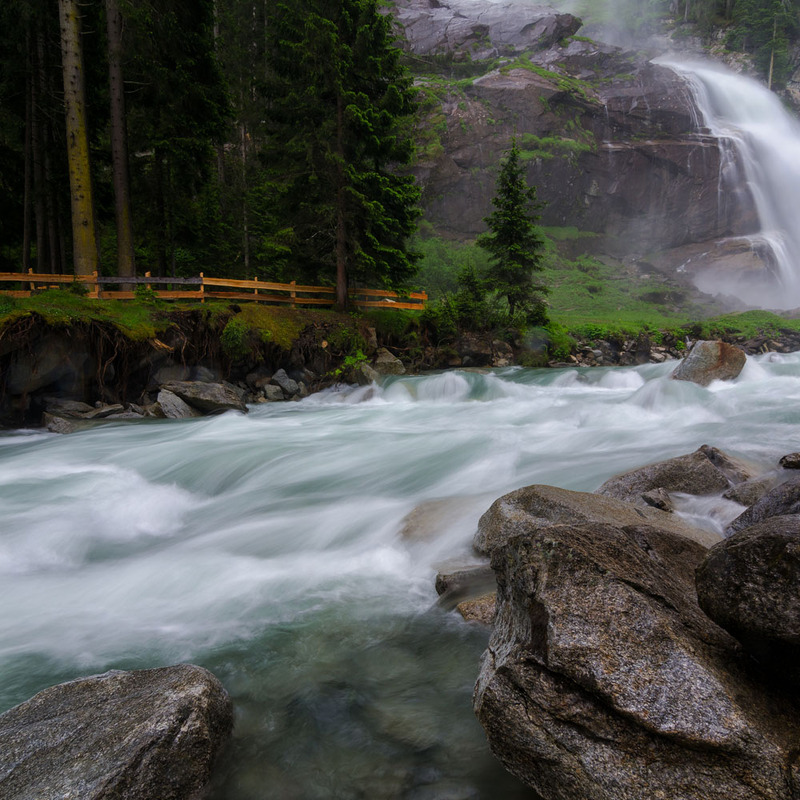 After breakfast, we take the twisting road amongst timelessly picturesque woodland and peaceful pastures and through an ever-narrowing valley, discovering one of Europe’s great natural wonders, the Krimml waterfalls. The highest in Europe and the fifth highest in the world, this amazing series of waterfalls tumbles 1,200 feet from icy glaciers, with huge clouds of spray seemingly suspended as if by magic over the lush green forests below, accompanied by the unmistakable roar of enormous volumes of cascading water, it makes an unforgettable spectacle. It is at moments like this that you become completely overwhelmed by Mother Nature’s unbridled power, majestic grandeur and sheer beauty. We have ample time to explore the park, taking the dedicated path where alpine flora and fauna abound, before returning to our hotel. Today we enjoy another breath-taking journey into this alpine wonderland, visiting Austria’s highest mountain – the Grossglockner, as we drive along one of Europe’s oldest and most celebrated alpine routes. The scenery gradually changes from lush green meadow, through dark pine forests, then above the tree line a truly dramatic landscape of snow and ice reveals itself. Bronze Age knives, ancient gold jewellery and Roman statues found here prove traders have passed this way for at least 3,000 years. 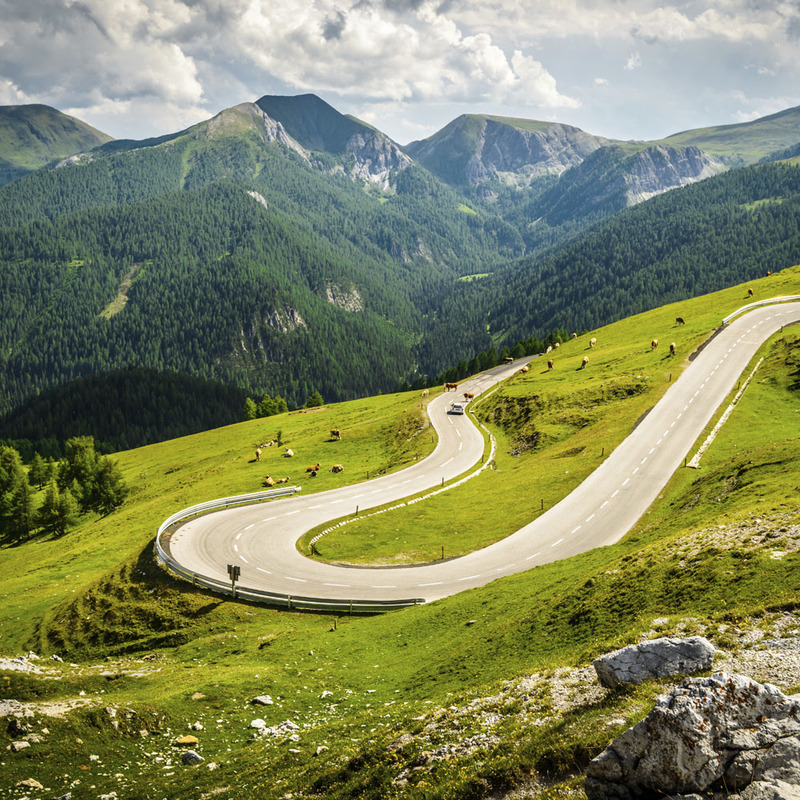 The route evolved into a 17th century pack road and the present Grossglockner High Alpine Road, opened less than 100 years ago. It offers a spectacular show of continually changing vistas, glaciers, rugged valleys and mountains, each a postcard in itself, leading from the carpet-like pastures of the Salzach valley to the Hochtor pass at 2,505 metres – one of Europe’s highest. We continue twisting up the rugged and beautiful valley to reach the mighty Pasterze Glacier and the ‘Emperor’s Viewpoint’. This is more than just a spectacular view: you can really immerse yourself in the high alpine surroundings, rocky crags and pure white snowfields, crystal clear waterfalls and deep blue glacier ice fields. You can hear the eerie whistling cry of the marmots, the rather endearing rodents found only in the high mountains – and keep a look out for the ibex with their striking horns whilst eagles soar on the clear thermals above. This is a truly breath-taking experience! Should you wish, you can take the spectacular funicular railway ride to the Pasterze glacier and walk on the surface – there are few places in the world you can do this and it should not be missed! Please note this trip is subject to weather conditions. We return to the hotel for dinner, over which you can reflect on the magnificent sights you have seen during this wonderful day. Today you have a completely free day. Perhaps take the cable car to almost the summit of the Kitzsteinhorn, one of the largest glaciers in the Alps for truly amazing views across some of the finest mountain scenery on earth. Take a stroll around the village, catch up on some reading or perhaps visit nearby Zell for a boat trip on the lake. 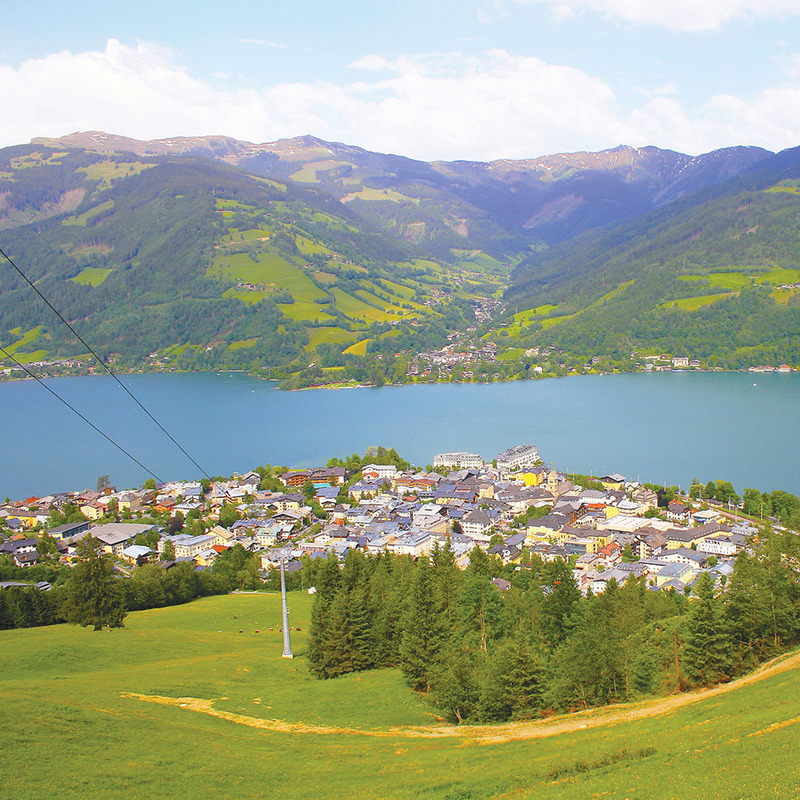 Zell am See has a delightful centre and lakeside promenade and unlike many resorts, it has some fine traditional buildings too, some of which house small museums including one dedicated to the history of the region and its people, with the 11th century parish church also worth a look. You could take a lake steamer, study the teeming bird life, explore the villages on the opposite bank or perhaps take a leisurely stroll on the lakeside path. 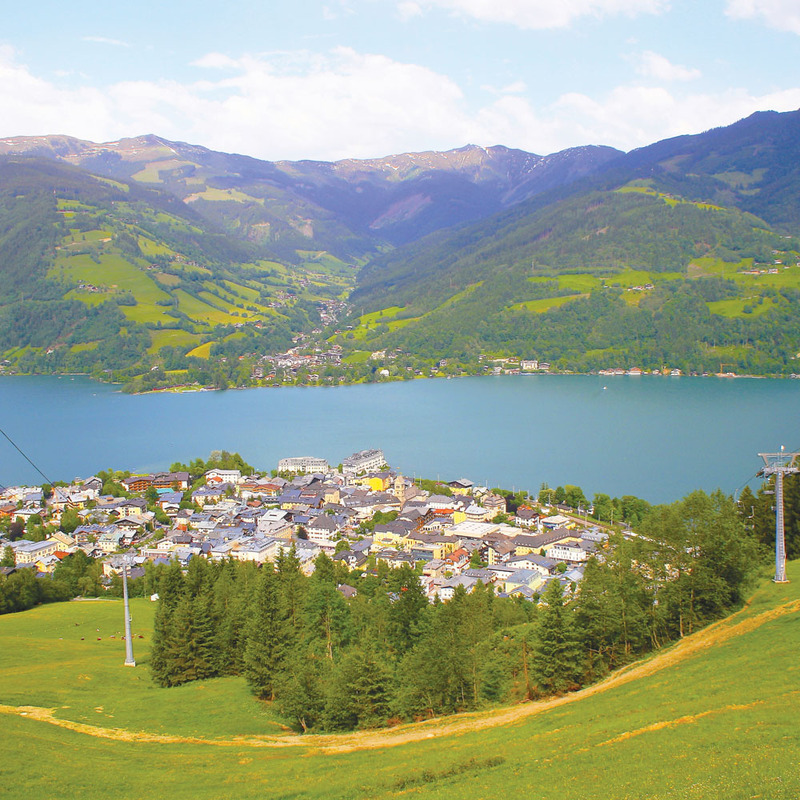 For those with a head for heights, take the cable car to the summit of Zell am See’s own mountain, the Schmittenhöhe, for a marvellous 360 degree panorama of the snow-capped Alps – breath-taking! For the more energetic there are many superb alpine walking trails suitable for all abilities. 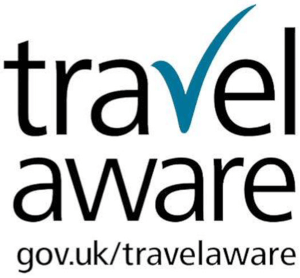 Today a coach will return us to the airport at the appropriate time. The price of this holiday is per person based on two people sharing a twin room. Single rooms are available at the relevant supplement. The price includes return flights, seven nights’ four-star accommodation on a half board basis, coach transportation as mentioned, services of a Riviera Travel tour manager, transfers to and from the hotel, all local accommodation taxes and all airline taxes. Please note that Austrian beds are generally one base with two mattresses and individual bed linen. Where hotels feature an outdoor swimming pool, this will be open summer months, weather permitting. Included excursions are: a tour of the Salzkammergut, guided tours of Salzburg and the Hellbrunn Palace and Gardens with entrance fees included, visits to the Krimml National Park and Zell Am Zee and a tour to the Grossglockner mountain range. Not included in the price: Classical music concert in Salzburg - See 'Personalise Your Holiday' section for details. Catch a classical performance by the renowned Salzburger Schlosskonzerte in the world-famous Mirabell Palace in Salzburg. You’ll feel like royalty soaking up the romantic ambience of a very special evening. Don’t miss the opportunity to attend this wonderful concert.